Engility has launched five centers of excellence in a move to facilitate the development of products in technology growth areas such as agile software development, artificial intelligence, cyber, high performance computing and modeling and simulation. 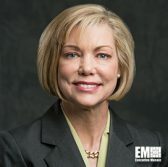 The five ENnovation Centers are comprised of virtually-networked experts who aim to address innovation challenges federal customers face, Engility said Wednesday. Engility CEO Lynn Dugle, an inductee into Executive Mosaic‘s Wash100 for 2017, said the facilities offer subject matter and technical expertise to help clients apply current technology platforms and test future systems. Dugle added customer agencies have collaborated with the company to help them transform ideas into real-world applications. The new CoEs are called Agile DevOps ENnovation Center, Artificial Intelligence ENnovation Center, Cyber ENnovation Center, High Performance Computing ENnovation Center and the Modeling and Simulation ENnovation Center.